Gites on the hiking trail GR.34 in Brittany * Trail of "Customs officers"
Site mis à jour : 03-04-2019 19:26.
classified " World bays "
You prefer the calm and be autonomous !!! 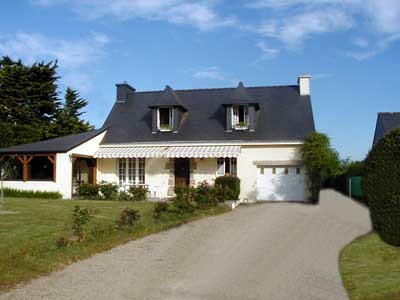 Gite along the Morbihan Gulf, 45 islands, classified "Most beautiful bays in the world"
(art. 34 of the law «Informatique et Libertés» of january 6, 1978). * The cottages Morbihan-Gites are located along the Gulf of Morbihan in southern Brittany, Villa Douar Nevez to Gorneveze, town council of Séné, near Vannes, medieval city. • Morbihan-Gites is located in a quiet area, suitable place to relax in a natural environment preserved and authentic. 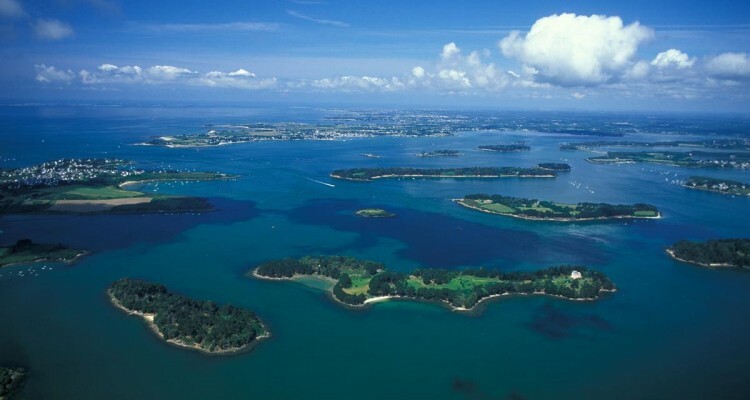 • The Gulf of Morbihan designated site "Natura 2000" is now classified as "Regional Natural Park". It is part of the exclusive club of the "Most Beautiful Bays in the World - World bays." The Gr.34 is passing across Brittany, from Mont Saint Michel to the salt marshes of Guerande. Each gite has a covered terrace, ground floor and secure private parking. The rent of the gites is by the week, from Saturday to Saturday, with reservation, and by night only "in passing" (minimum 2 nights) in furnished room. On a ground closed and raised, each cottage is equipped with every comfort of an equipped kitchen or kitchenette and rooms with single bed or double bed. 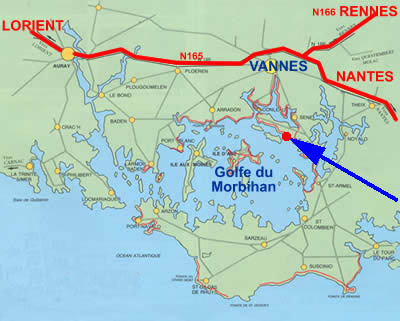 * Morbihan - Gites wish to you welcome along the Gulf of Morbihan. • to Hikers (walking, cycling), we will provide maps and directions. • to "Sailors" or Hikers in sea kayaks, we can learn about the peculiarities of the Gulf and its islands. • to Bikers, we tell you: "Biker yourselves, biker ourselves." Whenever possible, a shelter will be reserved for your "horse." • to Fishermen to walk, we'll show some good "shots". • to Gastronomes, we will give some good places. • See the Prices : The prices vary according to the seasons. Enjoy the medium and low season prices. • bicycle, mountain-bike at Abbis Location www.abbis-location.fr one bicycle deposit at Cantizac SENE, 10 minutes from your gite. ask Francis, a competent and dynamic organizer ! (Reduced rates for Morbihan-Gites). • horseback ride to the equestrian club http://ecuries-ar-koed-aour.jimdo.com , ask Anaelle - Tél 06 86 57 46 53. * Séné www.sene.com is a small fishing harbor, with 110 km of coastal path, called "path of Customs Officers" along the Gulf of Morbihan. The cottages are located on the GR 34, hiking trail in Brittany. the spring period is conducive to observation during the nesting. Oyster farmers welcome you proposing to have a good time tasting shells on their workplace. All shops in the center of Séné and Vannes. At Séné the people are called Sinagots (with "t") and traditional boats, the Sinagos (without "t"). * The Gulf of Morbihan has about 45 islands, the island of Arz, Ile aux Moines which are municipalities in their own, Gavrinis, Berder, Illur ... Besides rocks ... legend says there are 365. The Morbihan is the only french department in breton language. " Mor Bihan " means " Small Sea ". 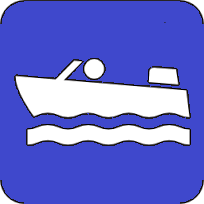 At the mouth of the Gulf of Morbihan, the strongest currents in Europe, are on one side of the peninsula of Port Navalo and its boat show "Mille Sabords", Arzon, The Crouesty (marina) and on the other side Arradon, Locmariaquer, Carnac (dolmens), La Trinité sur Mer (reference port race off) and the Quiberon Peninsula with its rugged coastline. Offshore are the islands of Houat, Hédic, Groix and Belle-Isle. 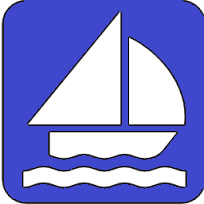 From Vannes, Séné, Port Navalo, Quiberon, shipping companies align the various islands by ferry. Every two years in late May is the "week of the Gulf" www.semainedugolfe.fr and maritime parade with thousands of traditional boats ... Grandiose! Séné is represented by its sinagos, traditional sailing yachts with red sails and wooden hull, including the "Three Brothers", the "John and Jane" and "Beautiful Wind." Saint-Nazaire (ship-building), the Briere (natural park, its thatched cottages), Guerande (its salt marshes), La Baule (famous beach).